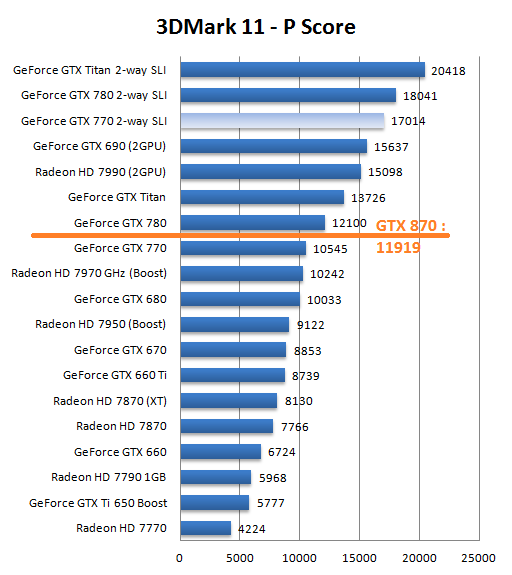 Technical details about the Geforce GTX 870 graphic cards from Nvidia is now available, the Maxwell 870 GPU which is based on the GM204 will comes with 1664 CUDA cores and 4GB of GDDR5 video memory. 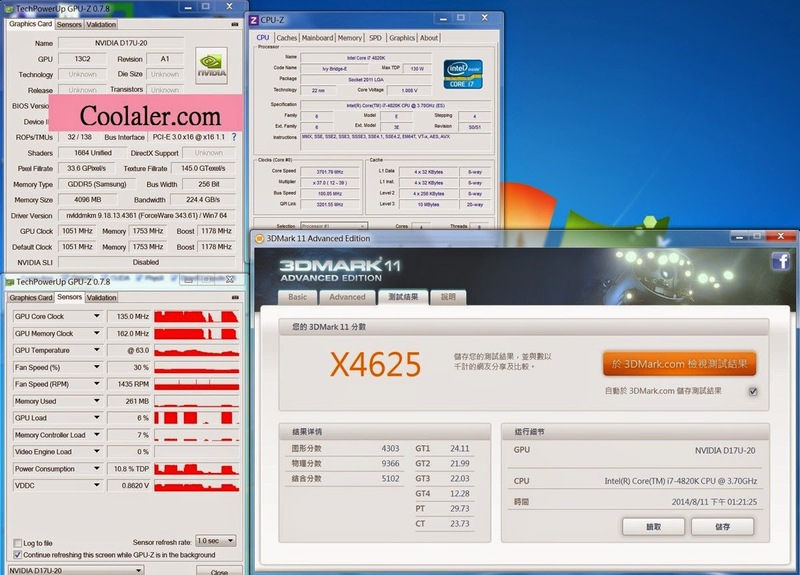 A table comparing the two new GTX 870 and GTX 880 Vs previous generation GTX 780/Ti, Nvidia kept the 28nm processing technology with increased core clock speed and memory size, that will certainly lead to a bigger cooling system. 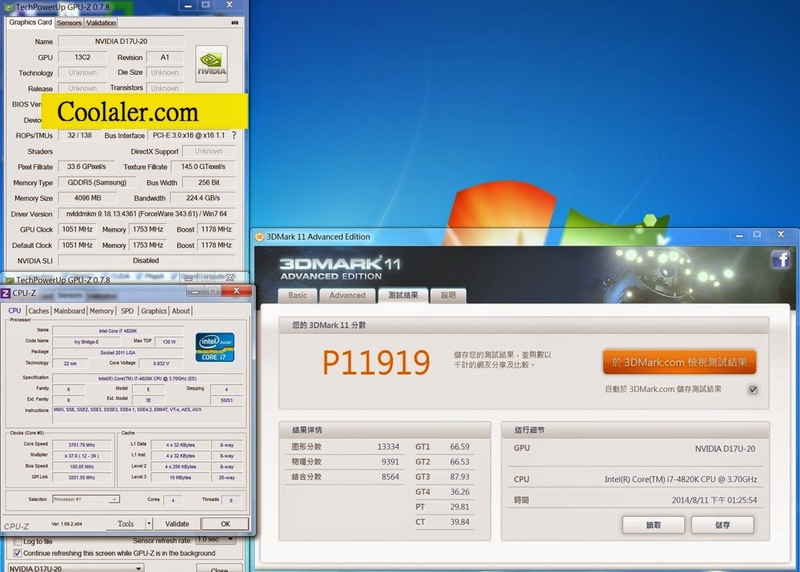 Now for the benchmark results under 3DMark, there some attractive numbers, the GTX 870 is scoring 4625 Mark for the Extreme setting and 11,919 for the performance, while the Geforce GTX 770 scores at 10,500, so here the GTX 870 is 11% faster than the previous GTX 770.